At the Insomniacs headquarters, every personal hobby is encouraged and brought to the spotlight, even if it includes the dream of wanting to become a stand-up comedian. 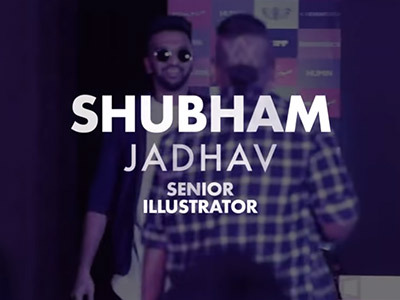 Here, our senior Illustrator Shubham Jadhav, A.K.A. Captain Iluminatrix, gives the rest of the Sleepless Rangers a feel of what it is like to be around our Motion Graphic Artist Rikin Joshi, A.K.A. Captain Reelmatrix! Kapil Sharma has got nothing on what Shubham has to offer! Take a look for yourself, you won’t regret the next 3 minutes of your life!